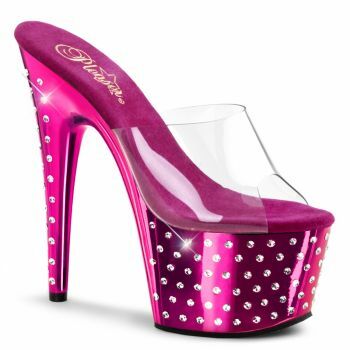 Slide Featuring Glitter Covered Bottom of the brand Pleaser. Fishnet thigh high stockings with triple elastic top. Platform ankle strap sandal with chrome plated bottom.